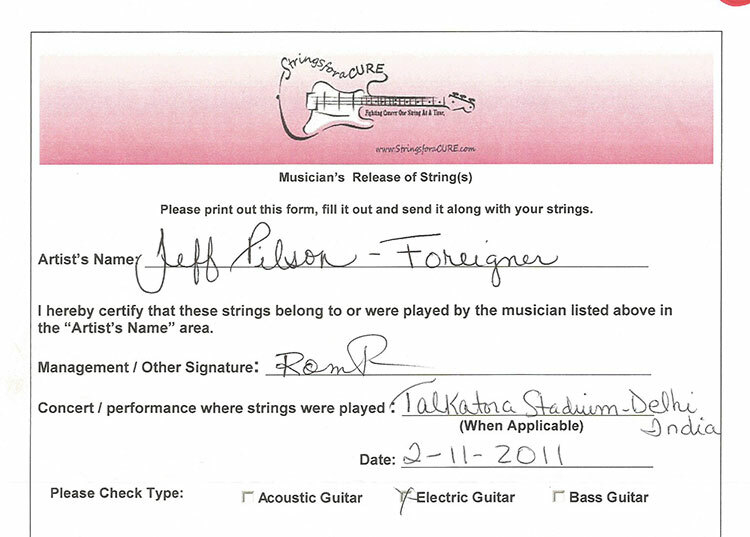 Jeff Pilson of Foreigner, Swarovski Crystal guitar string pendants made out of Jeff’s used/played string. Each pendant was designed by 2x breast cancer survivor Elisa Guida and is app. 1 1/2″. 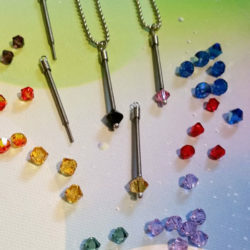 Picture is showing crystal choices of each pendant. Crystal choices are: Capri Blue, Fire Opal, Sunflower, Rose and Jet. 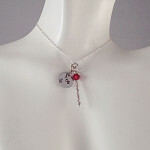 Comes with a 16, 18, 20, 22 or 24″ stainless beaded chord. It is a $35 donation for one crystal pendant. 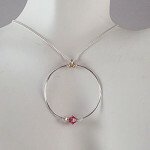 This piece is made to order and takes approximately 4-5 weeks to complete. These pieces are hand made and vary slightly. born January 19th in Lake Forest, Illinois, is an American bass guitarist. Though best known for his work as an original member of seminal 80’s rock band Dokken, Jeff has played bass and sung with a host of groups including rockers Dio and MSG, and his own bands War and Peace and Lynch/Pilson. Jeff also had a principal role, along with band mate Jason Bonham, in the 2001 Warner Brothers film Rock Star, alongside actors Mark Wahlberg and Jennifer Aniston.